Looking for a soothing, comfortable place to decompress after your long day? Look no further than your bathroom. 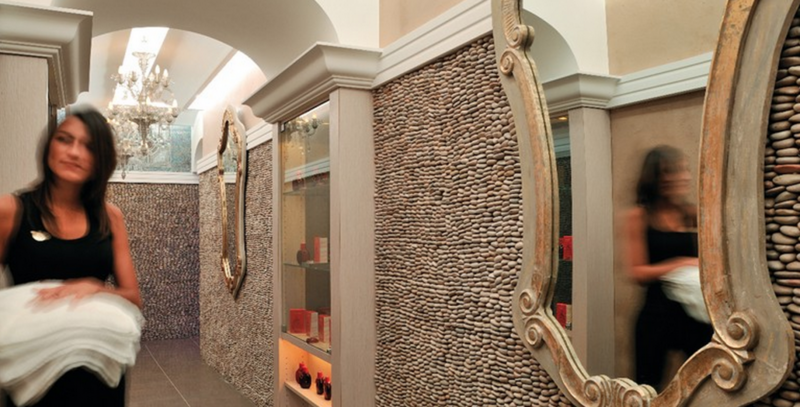 You can create your own private oasis by installing pebble tile on the floors and walls for a truly zen experience. From the moment you enter the room your feet will feel the massage of the stones beneath you, while their placement on the walls will provide a feeling of spa-like relaxation. Various rocks and pebbles have been gathered from areas all over the country and arranged on a backing in an interlocking pattern to give the design a seamless look. The materials used for modern pebble tiles can be found all over the world today, with larger stones making for better feeling underfoot. Available in mesh sheets of 12” x 12”. Colors vary from gray, green and tan to bright white and black. No matter what color scheme you choose, it is sure to provide a pleasing look to the room. Installation begins by creating a bed of smoothed out thinset mortar, usually no more than ⅛” thick. The tiles are then placed in interlocking positions to prevent the appearance of borders. Once the mortar has been given 24 hours to set, the finished placement is sealed and dried again. Next, a liberal amount of grout is applied. The extra grout is needed so that it cannot only set beneath the tiles but fill in the space around them as well. Once dry, excess grout it cleared away using a wet sponge until pebbles are clean and the area is sealed again for a final time. To maintain the look of your tiles, use regular household cleaner and a stiff-bristled brush to scrub away residue. Re-sealing may be required over time to protect the pebbles. For now, enjoy your luxurious new washroom escape. Visit one of our showrooms for a large selection of products and assistance from a qualified design consultant. Ceramic tile installation can be an art form. View our photos for inspiration. Information regarding characteristics, qualities, maintenance and more.